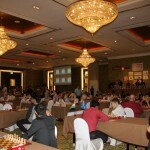 A record 324 players from more than 40 countries are competing in the 16th Bangkok CC Open tournament – Thailand and South-East Asia’s strongest tournament of the year to date – being held in the heart of Bangkok at the Dusit Thani Hotel. 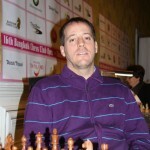 English Grandmaster Nigel Short, the winner of last year’s tournament, has returned to defend his title but he is seeded only second behind Spanish Grandmaster Francisco ‘Paco’ Vallejo Pons. 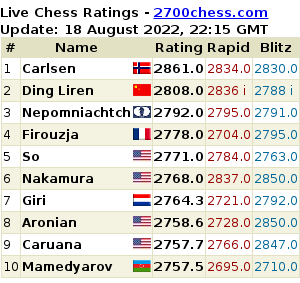 Many other top players from around the world, including a total of 17 Grandmasters are ready to fight these two for first place. 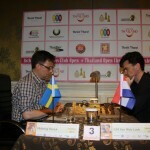 The first round saw no upsets at the top boards where Short, Surya Ganguly and Ildar Khairullin with the white pieces, and Vallejo, Loek van Wely and Jan Gustafsson, with black won their games against lower rated opposition. 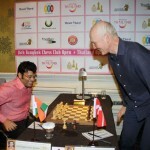 Vallejo, however, had to fight for five hours to overcome Kim Yew Chan, the Malaysian youngster holding firm for much of the game and missing a brilliant drawing opportunity on move 54. 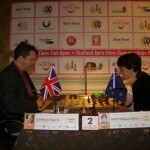 Short, his brain hard-wired differently, beat New Zealand’s top female player, astro-physicist Helen Milligan, Short eventually converting a rook endgame. 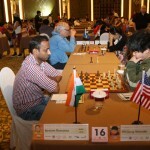 The upset of the day was achieved by local veteran Poompat Sivara who drew easily with Indian Grandmaster Abhijit Kunte. 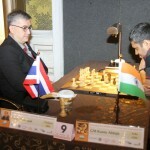 Belying the huge differential in world rankings, Kunte was in trouble almost from the start and was lucky that Sivara chose to repeat moves and take a draw when victory was close at hand.